This is a chronicle of my investigation into the miraculous claims by a charismatic church of gemstones falling from heaven. 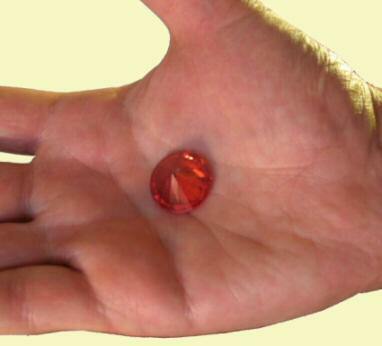 Terry Clark of Coeur d'Alene, Idaho claims that he witnessed gemstone's falling into his yard from heaven. In addition, Terry claimed that on several occasions he received gems as the result of angelic visitation. The church, The Gateway Fellowship of Coeur d'Alene Idaho, has identified this particular angel as "Emma" and noted that she is associated with prosperity. Patricia King of ExtremeProphetic.com picked up this story and created a series of 3 videos. In the first video she stressed the importance of due diligence in substantiating this remarkable "miracle". The videos are available from The Gateway Church's website (www.thegatewayintl.org) and from Patricia King's website at ExtremeProphetic.com. In the first video, Patricia King considered prior dreams and prophecy by other members of the church as evidence for this event. She implied that this dream and prophecy confirmation was due diligence. The details are sketchy but other church member had a dream about these gems and that they were to take these gemstones to a jeweler at the Silver Lake Mall in Coeur d'Alene for evaluation. 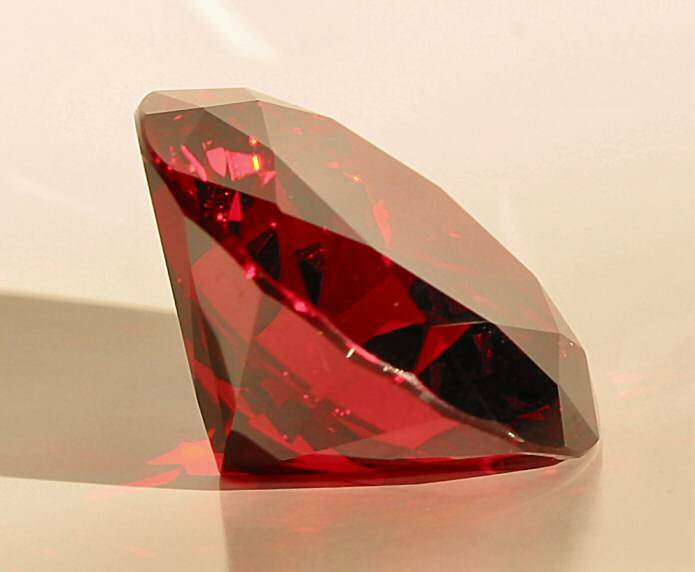 In the first and second video, a featured expert Rick Hurt commented that gemologist have looked at these gemstones and that they cannot identify them. He mentioned that they are denser than diamonds and "they don't fit into any of the slots". Rick Hurt alluded that the only test left is an "acid test" and then mass spectroscopy. Some screen shots from these videos are available here at: video 1, 2, and 3. I sent this email to Extremeprophetc.com and received an answer in return. In their reply email they thanked me for the information that I had to share with them and they agreed that due diligence is very important. They also informed me that they have "great respect for Kari Browning and respect how she hears for God". Kari Browning is the pastor at the Gateway Fellowship Church in Coeur d'Alene. In addition, I sent a series of emails to The Gateway Fellowship Church in Coeur d'Alene. The first email was a general enquiry. I received a reply to this email and was informed that these gems were tested and they confirmed that these stones could not be identified. Further, I was informed that they do not "have bubbles or unfinished aluminum" and that they have "no flaws that a normal diamond would have". They stated they do not feel that they are to have any of these gemstones "acid tested" as that would be destructive. I enquired on a Gemologists forum, GemologyOnline.com, about what these stones may be and what a "acid test" would involve. I was told that they had never heard of an "acid test". This exchange can be found here. After this I sent two more emails to The Gateway Church enquiring about the Gemologist report: email 2 and email 3. I did not receive a reply to these requests. In the meantime, I reasoned that if deception was involved these Gems would be reasonably inexpensive since the church claims they have received 39 of them over the course of the summer! I also reasoned that they might be readily available, for example, on Ebay. After a considerable search I found round brilliant Zircon from China that looked very similar. These Gemstones come in large sizes (50 to well over 200 Carats). They also come in a large variety of colors. 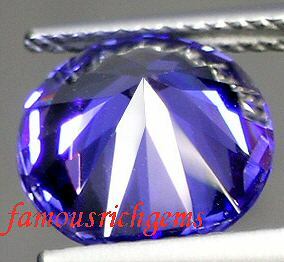 I ordered several of these Zircon stones in the sizes from 50 carats to 115 carats and they were inexpensive. See pictures below of these gems. 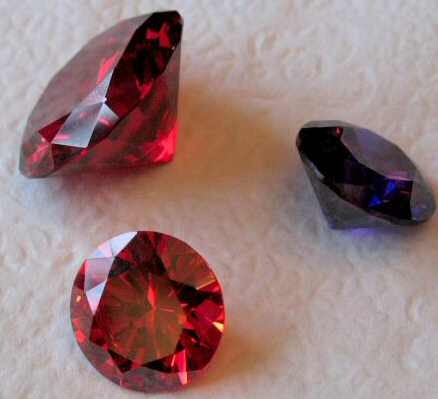 These Gemstones look identical to the ones shown in the videos, however the video images are somewhat grainy. I have shown my Ebay Gems to someone who goes to the church and they commented that they do look like the ones at the Church. 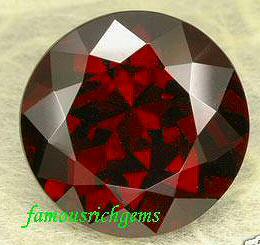 Zircon is a natural stone and has a specific gravity of between 4.5 to 4.7. They have a hardness of 7.5. I tested these stones and they will scratch glass. At this point I sent a 4th email to The Gateway Fellowship after several weeks my email was forwarded to Rick Hurt. Rick replied that a few professional gem buyers and sellers had looked at the stones but the findings are inconclusive. He told me that the specific gravity of these stones does not match anything in nature. The specific gravity ranged from 5.9 sg to 6.4 sg. He also informed me that the sizes of the stones were perplexing at 45 to 55 carets. He had looked into artificial stones but found that they were large even for man made stones and that manufactured stones of that size are typically foggy. He finally concluded that he was going to continue to try to identify the stones and maybe send them to a government lab but concluded "I don't know if we ever will know for sure. It may be we don't need to know anything more than where they came from." I followed up with a 5th email in which I informed him of my find on Ebay. I even offered to drop the stones off at the Church for them to examine if they would like.